Our old pals in Murder Mystery have kicked off the summer season with a couple of one-off releases. These new tracks offer an insight into a slightly new direction for this Brooklyn four-piece. The sprawling guitars that dominated 2007’s Are You Ready for the Heartache Cause Here it Comes and evoked comparisons to Pavement have been superceded by an easygoing electro-pop aesthetic. Over a buoyant set of synths and beats, siblings Jeremy and Laura Coleman take turns on the microphone for melodies that recall Stars and Belle & Sebastian. 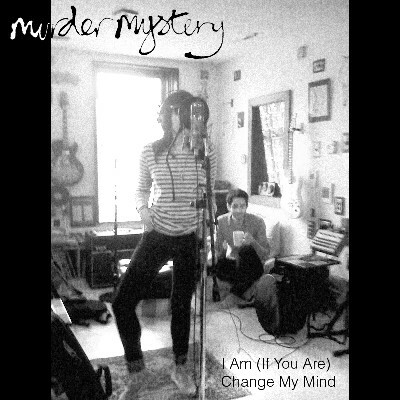 “I Am (If You Are)” and “Change My Mind” show a band brandishing its verstaility and, we hope, revealing a promising new sound for their next full-length. Both tracks are downloadable at murdermysterymusic.com. Buy Are You Ready for the Heartache… at iTunes. Murder Mystery will be playing with Food Will Win the War at Brooklyn’s Knitting Factory on July 18.